When my dentist warned me that I was going to need a lot of fillings in the near future, I told him I had an electric toothbrush – one of those ones that looks like a normal toothbrush, vibrates, and is disposable. I thought that was good enough, but when he told me it wasn’t, I had to start looking for a proper toothbrush, and that meant finding one that worked with the limitations I had. That was the inspiration for this week’s review – what do I use to maintain my personal hygiene as far as I can, by myself. All the products being reviewed this week are ordinary ones. Designed for non-disabled people (or designed independent of disability), they’re things I’ve bought myself to mitigate impairment-related problems, and that’s why they count to be reviewed here! Shameful confession. I didn’t realise it made any difference whether I used the disposable electric toothbrushes bought in bulk in the shop when they were down to £3, or a good expensive toothbrush until I owned this one. Before buying it, I was about to spend £50 at the hygienist to get my teeth properly cleaned. I realised it would make far more sense to follow my dentist’s recommendation, and get a good toothbrush (which I could use repeatedly), rather than a single hygienist appointment. With that thought in mind, I went looking for toothbrushes. 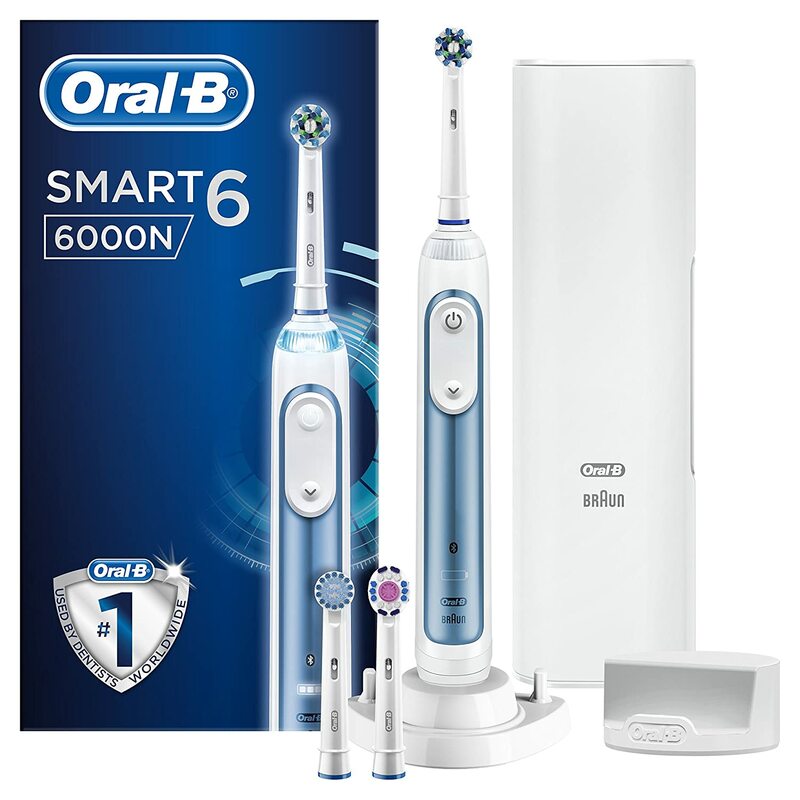 The cheap electric toothbrushes which are single use have their place – I would still travel with one – but having owned a proper one I plan never to go back to the cheap ones on a long term basis! When I looked for a toothbrush I had a few requirements: good battery life (because PAs would forget to charge it), timer, tells you when you’re brushing too hard. I didn’t require that my toothbrush had 5 settings, and I certainly didn’t need it to discuss my tooth brushing with my phone! I’m very suspicious of an Internet of Things toothbrush that feeds back to me (and the manufacturer probably) about how I use it, but I ended up with one anyway. I haven’t connected it to my phone, but it offers that option. I struggled with the arm activity involved in brushing my teeth, and didn’t really know how hard to press, so wore through toothbrushes very quickly. This one, crucially, doesn’t require the same arm work that the vibrating manual toothbrushes I used did. It’s designed so the brush is just held against each surface of each tooth, and it does the rest of the work. Alarmingly, in less than a week, my teeth are noticeably whiter – to the point that people are commenting on it. I was seduced by the price reduction from £219.99 to £69.99, and could probably have gone cheaper. That was a lot of money to spend on a toothbrush, but it has made a difference, so I guess it’ll save me money in the long run! I would not have called this purchase as successful as the toothbrush. I bought it because flossing ones teeth requires dexterity, and my teeth are very crowded, making it hard to get the floss between them, and meaning I didn’t really do it. I tried with the little orange toothpicks but they didn’t work brilliantly for me either, so I gave up with them. 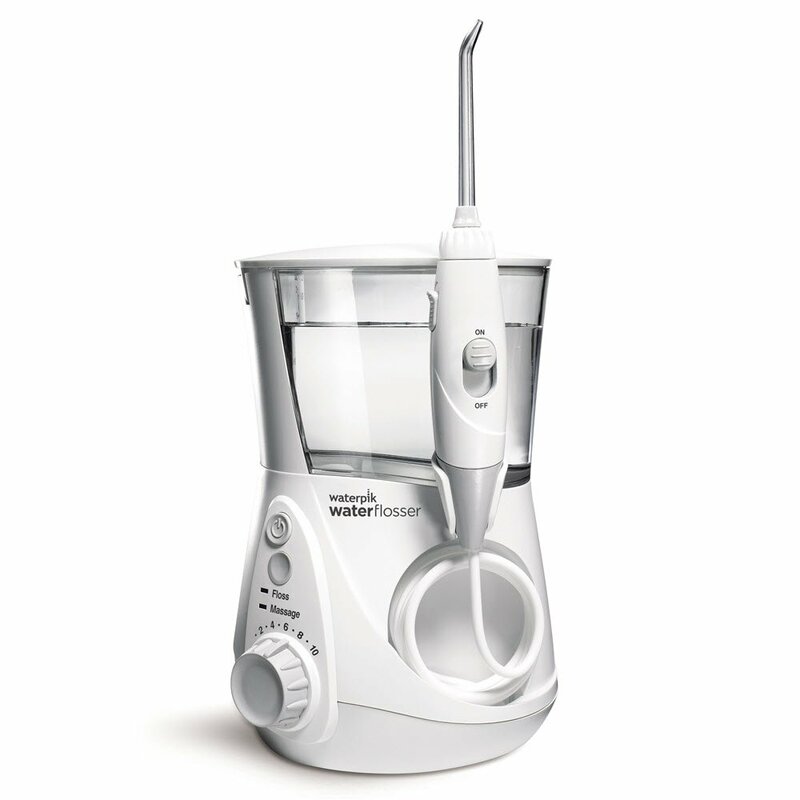 A water flosser sounded like the solution – switch it on, point it at the teeth, have it do the work, and I was convinced by the excellent reviews. In practice this isn’t able to cope with my teeth. I point it at the gaps, but even on the highest setting, the water couldn’t get through those gaps to clean them. It hasn’t made my gums bleed like traditional flossing does, but I think the counterbalance of that is that it hasn’t been as effective as traditional flossing. I didn’t think about it in the context of my swallow, and would suggest that anyone with swallowing difficulties avoid this like the plague. I can’t use it without ending up coughing on water, and I only have mild dysphagia, anyone with more problems could be putting themselves at risk. I don’t think this is as effective as flossing would be, especially with crowded teeth, but this is something I can do myself, whereas flossing just wasn’t doable (and having someone else floss ones teeth sounds like a horrible experience). I do think this is probably very good for the gums and for healthy blood flow there, but it doesn’t match the hopes I had for it. I quite like to have a bit of a beard, but if I grow more than a little one it starts to interfere with the mask I wear to support my breathing at night. My facial hair is also incredibly patchy, and my face is covered in tape from the feeding tube. I’d always gone with cheap razors because I was worried about slicing my face open with an expensive one. A few months ago, I peeled a strip of skin from my face with the razor when my arm shook, and I decided it was time to stick to a beard trimmer. I wanted one that was inexpensive, rugged, good quality, cut hair to lots of different lengths, didn’t have a million parts, and had a rechargeable battery instead of needing plugging in to operate. The one I chose was the Remington Barba. I’ve dropped it on the bathroom floor quite a few times without it breaking, which is a good sign, it seems to be quite hard to damage. 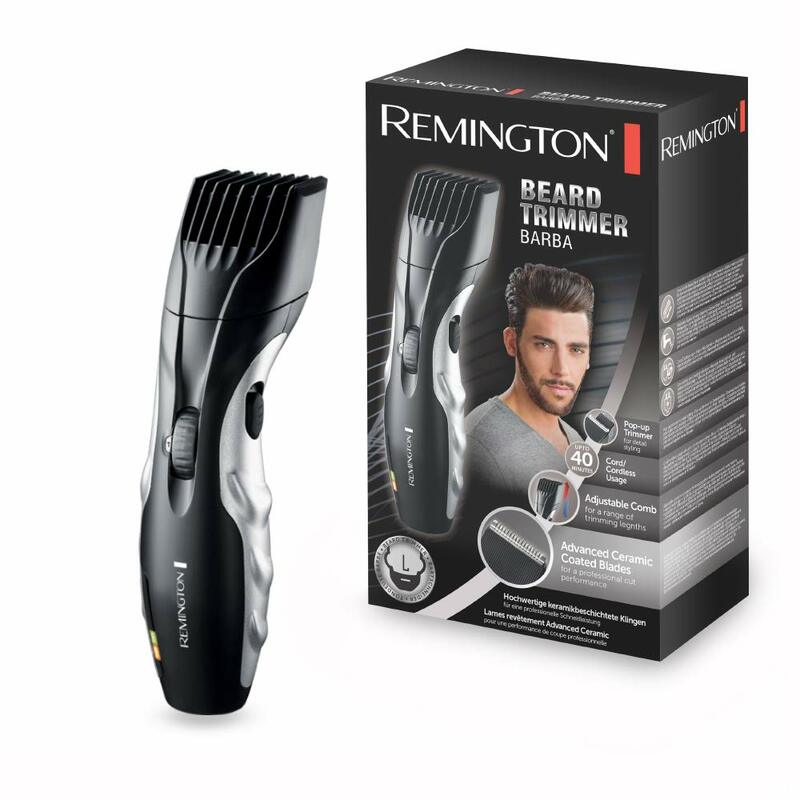 Instead of having lots of blades you have to clip on to set the hair length, it has one set of blades that can be altered in length by turning a wheel on the trimmer. For cutting neat edges, it also has a little flip-out trimmer, which helps me aim for something vaguely symmetrical on my face. The battery life is incredible. I rarely remember to charge it, and it still works wonderfully. It also cuts through my coarse hair very well, and I’ve never cut myself with it, which is always a good thing. The main downside is that it doesn’t cut very short, even if you remove the blades and use it without them. This means that I always have a bit of stubble, no matter how recently I shaved. For special events, I use a proper razor (50% chance I turn up at the event with a cut across my face, 50% chance I turn up with a neat beard), but for day to day use this works very well. What do you use and recommend for personal hygiene. Any great tips or products I should definitely try?